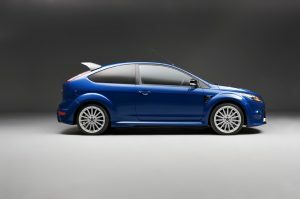 The Focus RS Mk2 that arrived in Australia is actually the same as the European model, with the exception of not having available all of the options that the European model had available to it. Ford Australia opted to keep the Focus RS as simple as possible. The Australian models only missed out on the touch screen DVD navigation system with radio/CD-7” colour touch-screen and reversing camera. The Australian model also had the optional leather seats fitted instead of the standard cloth seats that came in two different colours, blue for the white-blue car and green of course for the green car. 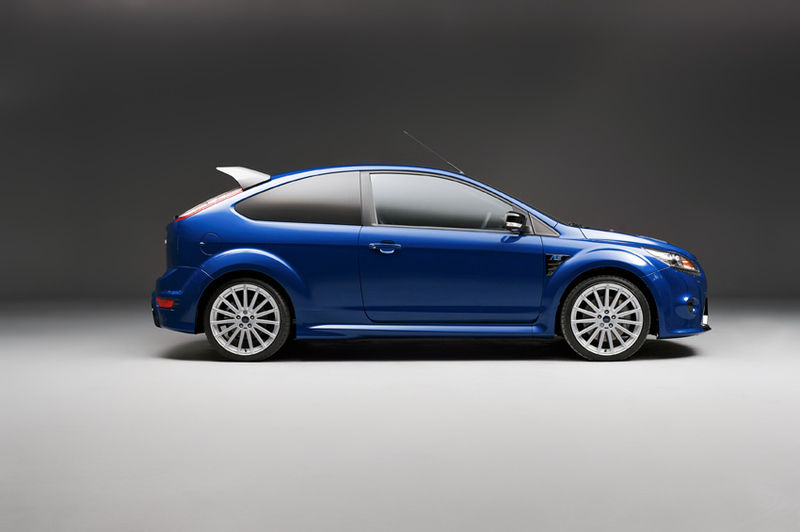 The Focus RS Mk2 began to surface back in 2007 when a blue Focus was spotted roaring around race tracks and proving grounds in Europe, it had a 4×4 configuration at that time. The 4×4 set up was dropped when Ford’s technicians could not get the car to come in under the European pollution rules because of its weight. 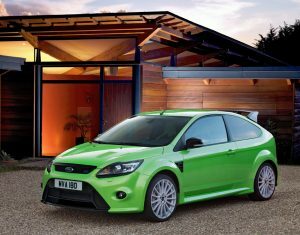 The Ford Team RS boys with the help of M- Sport came up with the Revoknuckle. This reduced unwanted torque steer enabling Ford to drop the 4×4 idea. The Revoknuckle enabled the car to perform just as well as a 4×4. 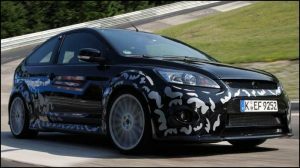 The 2008 black prototype was front wheel drive and went through extensive testing before in 2009 the Focus RS went into full production be it in limited numbers in Germany with production of the Focus RS Mk2 coming to an end in late 2010 just after the 315 cars were sent to Australia. 307 allocated to Dealers for retail sale. The 6 special purpose cars will be sold to Dealers when no longer required by Ford for eventual sale as used cars.